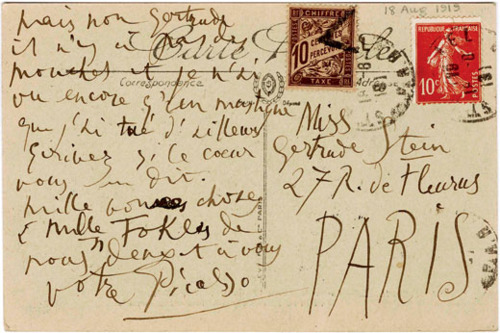 Pablo Picasso’s coterie of friends and collaborators was vast and glamorous. 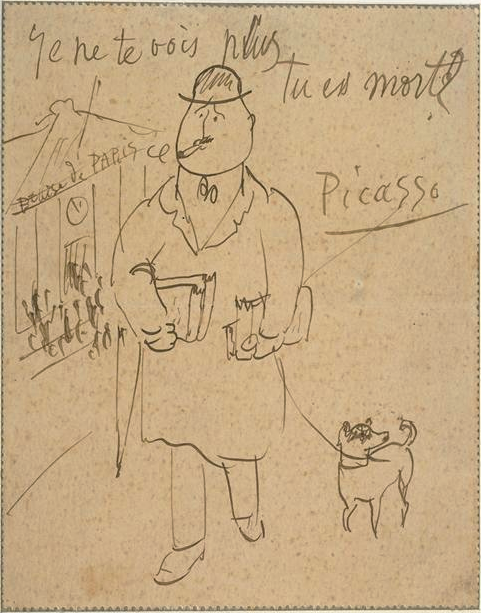 Following his move to France, Picasso befriended the flamboyant Russian ballet impresario Serge Diaghilev, whose Ballets Russes sets he went on to design, and whose prima ballerina Picasso went on to marry. Picasso also became friends with composers (such as Igor Stravinsky) and eminent painters, including his Cubist brother-in-arms Georges Braques, and his compatriot, Juan Gris. there are no flies, and I haven’t seen more than one mosquito, which I killed, anyway. Write me if the mood strikes. All the best to you and Ms. Toklas. 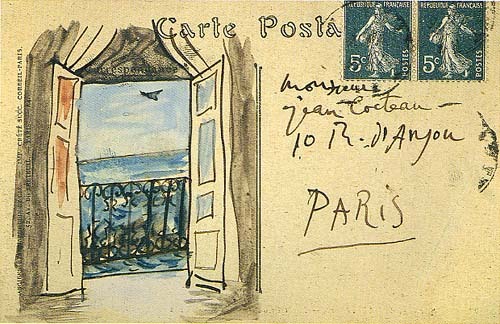 Interested readers may purchase a collection of Picasso’s postcards on Amazon. Do you know who holds the copyrights of these postcards? Thank you. It doesn’t say “Ecrives si le couer vous dit.”, it says “Ecrivez si le cœur vous en dit”.